What do you think of this Petzi Treat Cam? 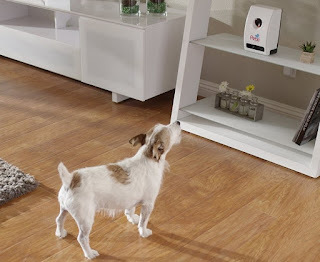 Revolutionary remote treat dispenser and camera that makes it fun and easy to connect with your pet from anywhere, at anytime. Capture candid photos of your pet to save or share on your favorite social site. Dispense your pet’s favorite treat with the Petzi Treat Launcher, for a big smile! Uses a free, secure Petzi App on your smartphone or tablet.